Our full week program allows students (K4-7th) to accomplish their Thursday and Friday lessons under the direction and instruction of our certified teachers. Working in small groups allows students the opportunity for extra practice or additional challenges as needed, making this a rich learning experience. Special area classes will be offered daily. Students enjoy more individualized attention from teachers as they work in small groups on these days. Art classes, music classes, science experiments and critical thinking math games are some of the activities that make learning on these days so rich and enjoyable. Parents continue to be involved in the educational experience of their students through our 5-Day program, available to students in K4 through 7th grades. Care is taken to send home Bible homework that facilitates meaningful parent-child discussions. Parents continue to be involved through nightly homework and as coaches for upcoming tests and projects that may be completed at home. 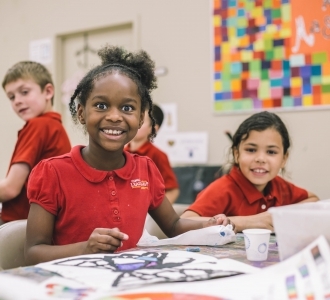 The benefits of our full week program are great for working parents and the parents of students who learn best in the structure and social atmosphere our private school provides. Simply click the button to send Tammi Lau an email.